At Rainbow Hospitals we run one of the largest post graduate training programs in the country. It helps that we base our teaching on the firm foundation of excellence and “hands on” experience of day to day running of one of India’s finest Children’s Hospitals. These programs are immensely popular and attract large number of candidates from all over the country. At Rainbow Hospitals we run one of the largest post graduate training programs in the country. It helps that we base our teaching on the firm foundation of excellence and "hands on" experience of day to day running of one of India's finest Children's Hospitals. These programs are immensely popular and attract large number of candidates from all over the country. Our Unit is accredited for DNB program in Pediatrics since 2006. Over the last 8 years, Rainbow has established a strong academic program. Interested candidates need to undergo a centralized Entrance Test – Broad Specialty (CET) and is an essential pre-requisite for entry to Post MBBS (3 Years)/ Post DCH (2 Years) Course. Candidates successful in the CET shall be asked to participate in a Centralized merit based counseling conducted by National Board of Examinations for allotment of DNB seats at NBE accredited Institutions/hospitals/medical colleges in order of their merit. Candidates shall be able to opt for the NBE accredited institution/hospital/medical college of their choice as per availability on their merit. The Institute has maintained 100 % pass rate. 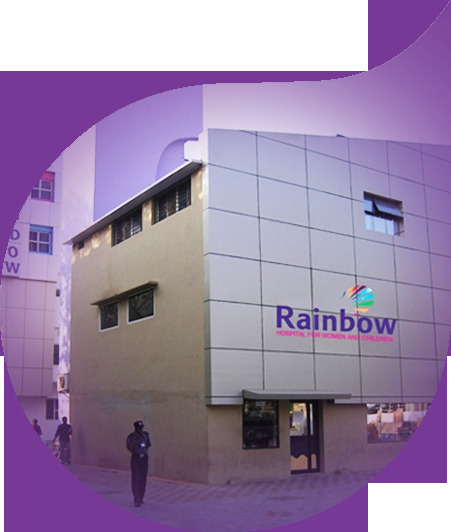 The 44 bed neonatal intensive care unit at Rainbow is most well equipped unit with round the clock Neonatologist cover. It has all the new modalities of ventilation including High Frequency Oscillation & Inhaled Nitric Oxide Therapy. It has established a perinatal center with fetal medicine, high risk obstetrics, maternal ICU & Neonatology all under one roof so as to optimize the outcome in mother and baby. Our unit is recognized for DNB (Neonatology) since 2009 2 seats. Rainbow Children’s Hospital has established a strong academic programme. Interested candidates need to undergo a Centralised Entrance Test – Super Specialty (CET-SS) and is an essential pre-requisite for entry to post MD/MS/DNB 3-year Super Specialty courses. Candidates successful in the CET-SS shall be asked to participate in a Centralized merit based counseling conducted by National Board of Examinations for allotment of DNB seats at NBE accredited Institutions/hospitals/medical colleges in order of their merit. Candidates shall be able to opt for the NBE accredited institution/hospital/medical college of their choice as per availability on their merit. The Institute has maintained 100 % pass rate. Our Unit is accredited for Pediatric Critical Care Program under the aegis IAP & ISCCM since 2009. The academic program starts from November and most of the interviews will be in July to August period and the exact dates and timings of the interviews can vary, hence we request the interested candidates to submit their latest CVs by e-mail or by post to us by the end of June or mid – May of the year. We shall keep you updated about the interview timings by e-mail and/or telephone. Note: For MD and DNB, there is a 2 years Fellowship program in Pediatric Critical Care. For DCH candidates there is a 2 years certificate program in Basic Pediatric Critical Care. Our unit is also recognized for Fellowship in Neonatology Programs under the aegis of IAP, NNF & NTR since 2008, 2012 & 2014 onwards. All our IAP Fellowship candidates have cleared successfully till now. The academic programs are starting from January and most of the interviews will be in November to January period and the exact dates and timings of the interviews can vary, hence we request the interested candidates to submit their latest CVs by e-mail or by post to us by the end of October or mid-November of the calendar year. We shall keep you updated about the interview timings by email or telephone. Our unit is also recognized for Fellowship in Neurology under the aegis of IAP from 2014 onwards. The academic program starts from April and most of the interviews will be in Jan to Feb period and the exact dates and timings of the interviews can vary, hence we request the interested candidates to submit their latest CVs by e-mail or by post to us by the end of December or mid-November of the calendar year. We shall keep you updated about the interview timings by email or telephone. Salary:The stipend and salaries are according to the recommendations by the governing authorities for the respective teaching programs. There is no additional fee taken for any other purpose. The selection criteria are strictly on merit basis. Hostel Accommodation: All residents and students are provided semi-furnished hostel accommodation as per the availability and policy of the Institute. Duties & Responsibilities: The Institute shall fix duties and responsibilities of all Senior and Junior Residents from time to time. They will be required to perform such work as may be needed in the legitimate interest of patient care, teaching, training and research. Residents: The residents at Rainbow come from practically every Indian state and form a dynamic community focusing on commitment, initiative, teamwork and leadership. The diversity of the resident body creates a dynamic learning environment that would lead you to question previously held assumptions and would expand your outlook. The common denominator among the residents is a desire to achieve in academics, their professional lives and standards of conduct. We encourage resident initiative since innovation serves as a fundamental part of Rainbow culture. All the departments are engaged in teaching, training, patient care and research. The DNB residents are rotated through general pediatric and specialty pediatrics postings whole year. In the specialty posting they work in the departments of pediatric Intensive Care, Neonatal Intensive care, pediatric Nephrology, Pediatric Hemato-oncology and pediatric neurology. At the end of each posting they are evaluated by a written and oral examination. Library Facilities: The Institute has a well-equipped library with facilities for loaning of library books and journals, photocopying, internet access for literature search, etc. The students have direct access to international textbooks, journals and clinics through our annual subscription to various leading on-line medical libraries. Computer Facilities: The Institute has a hospital-wide computer network spread all over the hospital and departments. Internet connections are available in all the departments. All faculty members, residents and students are provided with e-mail facilities. All the patient care activities are computerized with implementation of a hospital information system. Rainbow Children's Hospital has the most advanced video conferencing equipment installed, enabling students to video conference with any of the national and International institutions. The students between the Secunderabad Branch and the Banjara Hills branch interact with each other on almost daily basis using the High definition video conferencing facility for various educational activities.